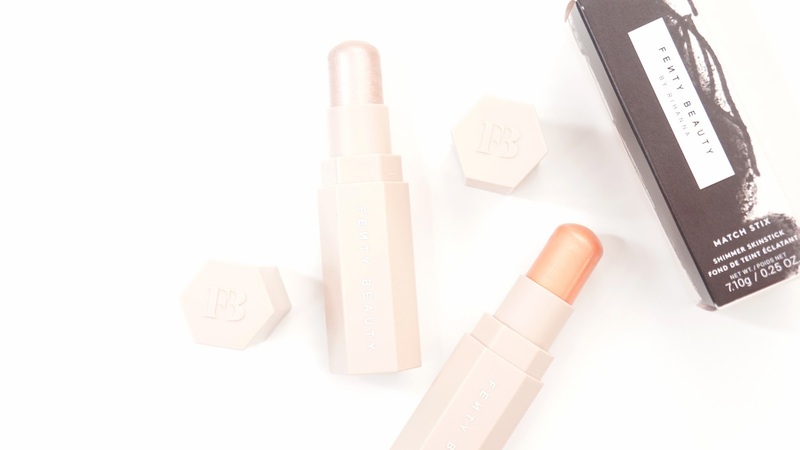 Fenty Beauty is probably the brand I've been the most excited about in years. Rihanna's IDGAF attitude is something I aspire to have one day and I absolutely love her makeup and fashion choices. They might not always be for me, but she always looks so beautiful. Once she announced her makeup line, I knew I definitely wanted to pick up some things no matter what they were. I originally picked up the Fenty Beauty Match Stix Shimmer Skinstick in Starstruck and trio in Medium (Bamboo, Mocha, and Trippin) but ended up returning the trio and getting Trippin just by itself. Each Match Stix contains 0.25 ounches / 7.10 grams of product and retails for $25 on the Sephora website here. 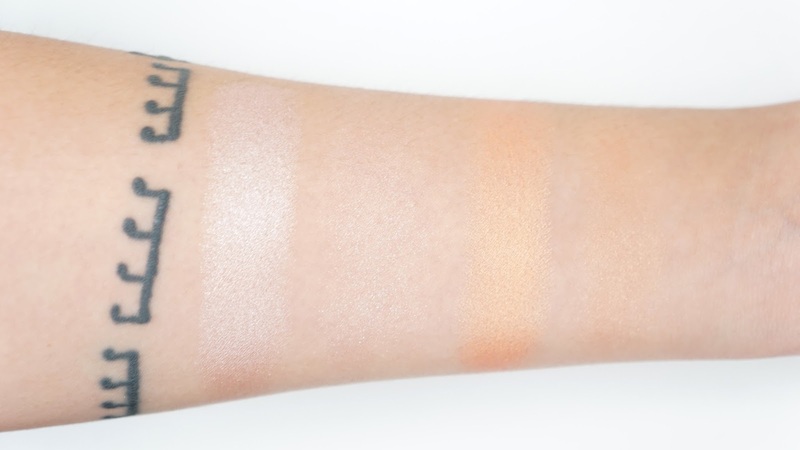 The Match Stix Shimmer Skinsticks have a cream to powder formula and are claimed to be long wearing. Other claims include being blendable and weightless on the skin. I'm quite a lover of cream stick products and so I was really intrigued by these. So far, they do feel different from other cream products I've tried but I don't know if it's in a good or bad way. Instead of being creamy, they're more on the dry side and definitely apply and blend better with the fingers. Because they're drier, applying it directly from the bullet can tug your skin or base products. I did temporarily have Bamboo and Mocha from the trio and they did work directly onto the skin and with brushes, but they did feel slightly creamier than the shimmer versions. I did watch videos on the Fenty Beauty Instagram page and the makeup artist would pick up product directly onto a brush before applying in the face and it looked gorgeous that way as well. Starstruck is described as a "iced-out pearl" but I would say that it's a slightly cool toned gunmetal rose gold. I'm actually quite a fan of this kind of tone as a highlight and so it's no surprise that I had to pick it up. Trippin was slightly surprising for me to pick up since it's an orangey yellow shimmer shade. It is described as a "golden glazed-apricot" and I would say that it's pretty accurate. My absolute favorite blush colors are NARS Luster and Etude House Ginger Cookie Blusher (review here) and Trippin works so well as a base or highlight for those two shades. I would definitely say that these are buildable in intensity. While you can see a shimmery sheen on the cheeks with a light first application like I did in the full face swatches, it can be layered to have a metallic highlight. By using your fingers, you can also take your time to build and blend out to your desired effect. Because of the drier texture, these Match Stix did apply great under and over powder. I have dry skin though and so I prefer to use the Match Stix over my freshly applied dewy foundation. It just helped the shimmer blend into my skin more evenly. I would say that these cream highlights would be better on those with oily skin, but they can still look good on my dry skin. The shimmer also doesn't transfer and stayed on wonderfully all day long. Final thoughts: I'm a huge cream product fan in general and these were pretty interesting. Even though these are cream, they're definitely on the dry side. I enjoy using both shades, but I could see why people might not like them because of the texture. I don't know if I'm exactly wowed enough to recommend them though. I don't regret buying them, but I probably would only repurchase Trippin since it's similar to my favorite blush shade. I do really love the finish though since it's not dewy or tacky like other cream products and sets immediately. 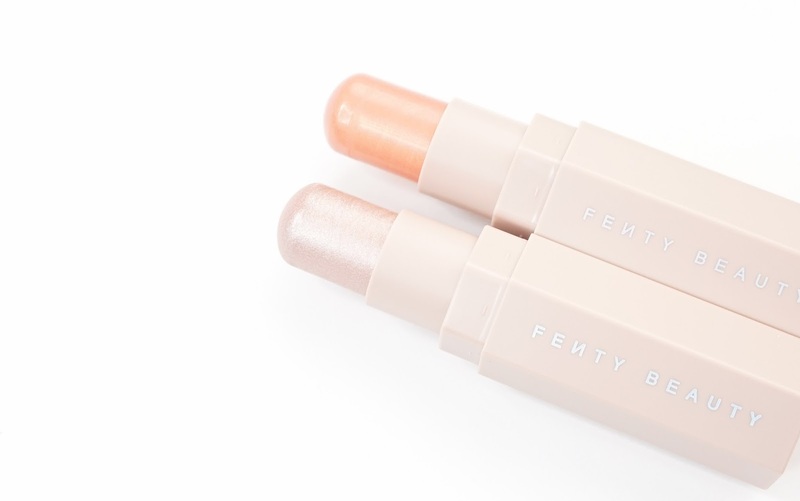 Have you tried out the Fenty Beauty Match Stix Shimmer Skinsticks? What's your favorite cream highlight formula?